Bovada is pretty much the biggest name that is around for online gambling in the United States. This is because in much of the country, online betting is unregulated, meaning that players need to go to offshore to find spots to gamble. Bovada provides their services to the entire country, which includes sportsbetting, slots, and table games. The company also has an extensive blackjack selection for players, which, when combined with its excellent management and payout reputation makes it one of the best spots to play online blackjack for U.S. players. Gaming License : Bovada Casino is licensed in No license Jurisdiction. Bovada’s online betting software is provided through a web-based platform that works directly through your internet browser. This is a good thing as it means you don’t have to download any software to play. The casino has software from Rival Gaming and RTG, which are very common for Americans and offers different slots and table games. In terms of blackjack, players will find seven different games to play. These include classic blackjack, single deck, double deck, European blackjack, and Zappit. These games all are a bit simplistic in their design, but do play very well. The games also are recorded digitally, so if you end up losing a connection mid-hand, you’ll pick right back up where you left off. The games are all good, and you can find limits as low as $1 up to several hundred dollars. Mobile play is supported, which lets you play blackjack on your smartphone or tablet. This is nice, as it lets you play the games from anywhere that you can snag a data connection and is good for when you’re out and about. There are a bunch of other casino games present at Bovada, with a full library of slots and different games for players to test their luck at. The games aren’t the snazziest I’ve seen, but they are better than nothing. Many of these are also available on the mobile platform as well, which expands the options you have for play on your phone. The banking system at Bovada is as good as you’ll get for a U.S.-friendly casino. The casino accepts Visa and MasterCard for deposits, and also allows for you to pull money out through a paper check. The casino also has Bitcoin available for deposit and withdrawal purposes, and I recommend it to you if you use it, as payouts are also done very quickly. The customer support at Bovada is very good, as help can be reached via live chat, email, or telephone. I have reached the assistance group many times through the chat function and have found them to be great. Answers are usually available instantly, and the few times where they weren’t the group did get back at me to help me out. There are a bunch of different promotions available for you to claim at Bovada, including introductory, Bitcoin, and more. These all have different limits and wagering requirements, so make sure to read the terms to see how they apply to your style of gameplay. Generally speaking though, the terms are fair for players and are among the better that American punters will find. 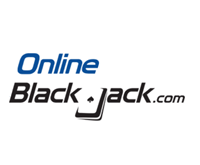 If you’re looking to play online blackjack, Bovada is one of the best places for Americans. The casino has a bunch of different games for punters, and the site is as reliable as you’ll find. Everything here is quality, and until something regulated comes around, you likely won’t find a better online betting site than this one.